The searing heat on Sunday offered an ideal condition for a group of activists gathered before the Town Hall to declare a ‘climate change emergency’. As smoke curled up from the blacktop in the 36 degrees Celsius heat, activists hoped forcing an emergency would stir a public discussion and create a list of action points for the government to address on the issue, which is threatening to cause widespread destruction. “The elections are round the corner and we wanted to do something more than just talking about the issue,” said Dr Sanjeev Kulkarni, one of the organisers of the event. “My suggestion is to gather a larger group, prepare a list of demands, keeping mother earth and climate change in mind and ask the political parties to include them in their manifestos and commit themselves to implement them,” he said. Such efforts by citizen groups may have failed to move the government, but Dr Kulkarni believed that it would be possible to extract a promise from a politician facing an election. Environmental writer Nagesh Hegde said Karnataka’s climate scene is dreadful. 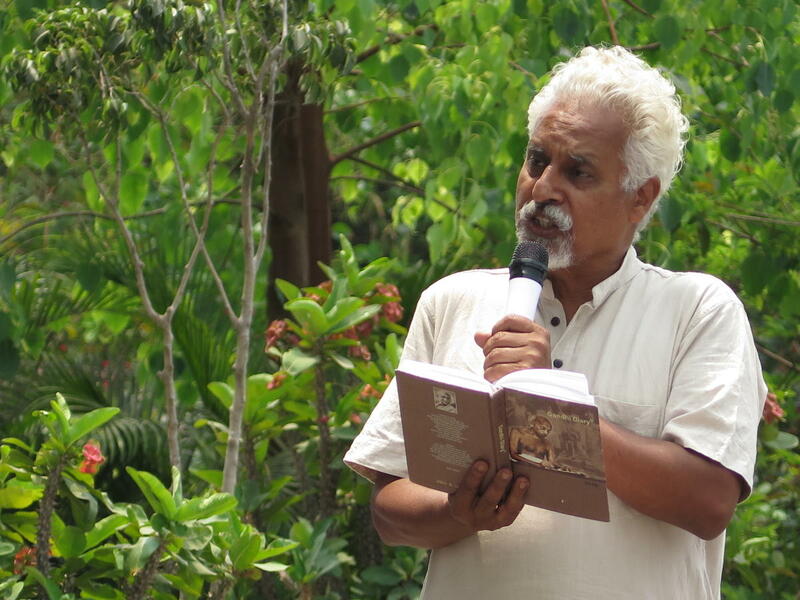 He agreed that protecting the environment will not be possible without educating the public, but blamed India’s growing consumerist society for damaging the ecology. “India was the model for sustainability. We had it in us not to waste food or water. But with the advent of the Western culture, we lost our way,” he said, pointing out that the idea of ‘Westernism’ is something prevalent in the country for the past 50 years. Part of Dr Kulkarni’s proposal to the government was to urge the passing of legislation mandating farmers to devote 1/3rd of their land for tree-based agriculture. “This would help regenerate and percolate the topsoil. Trees would offer biomass and fruits to the family,” he added. The activist said this could be one of the issues that the public could discuss.